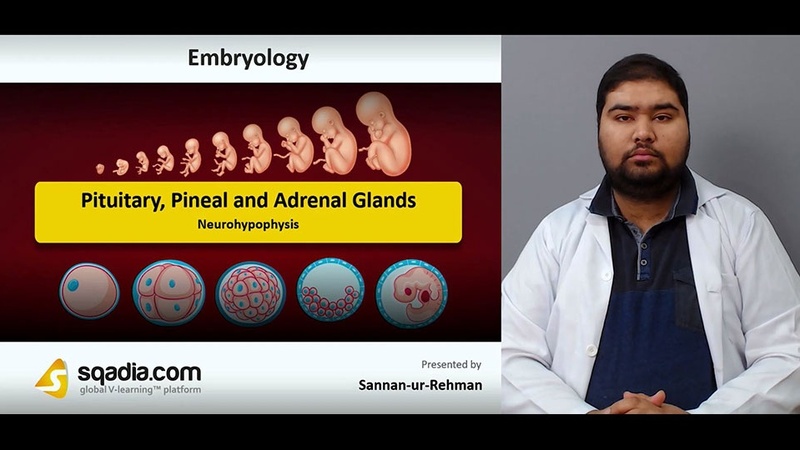 This lecture is devoted towards the understanding of Pituitary, Pineal and Adrenal Glands. Section one aims at elucidating the Pituitary Gland. In the beginning, the educator has put forth an Overview of the gland. Following this, Pituitary Gland (Hypophysis Cerebri) and various Subdivisions of Pituitary Gland have been conversed about. Conclusively, the educator has mentioned a condition called Adenohypophysis, comprehensively. The prime focus of section two is on the Neurohypophysis. The educator started off by expansively referring to a condition entitled Neurohypophysis. Then the educator moved on to expound the Clinical Correlation. 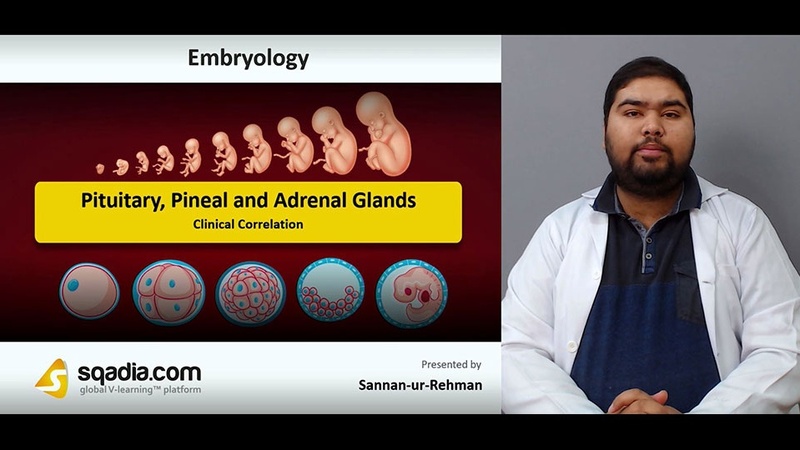 In the end, the educator wrapped up by shedding light on the Pituitary Adenomas encompassing Chromophobe Adenoma, Acidophil Adenoma and Basophil Adenoma. The key point of emphasis of section three is the Pineal Gland. At the onset of this section, the educator has brought Pineal Gland (Epiphysis Cerebri) under discussion. In addition to this, Development of Pineal Gland alongside the role of Melatonin has been narrated. Subsequently, Corpora Arenacea has been presented. In the end, the educator has summed up by alluding to Pinealomas which are the tumors of the Pineal Gland. Section three accentuates on Adrenal Gland. Initially, some information regarding the Adrenal Gland has been reflected upon. Continuing this, the Development of Adrenal Cortex has been extensively explicated. Moreover, Formation of Layers in Adrenal Cortex and the Development of Adrenal Medulla has been debated over. Ultimately, the section concluded by a stating about the Chromaffin Tissue. Section five accommodates Clinical Correlation. Firstly, the Ectopic Adrenal Tissue/Adrenal Gland has been delineated. Succeeding this, Congenital Adrenal Hyperplasia and Adrenogenital Syndrome have been pondered upon. In the end, the curtains have been brought down by conferring to Pheochromocytoma.